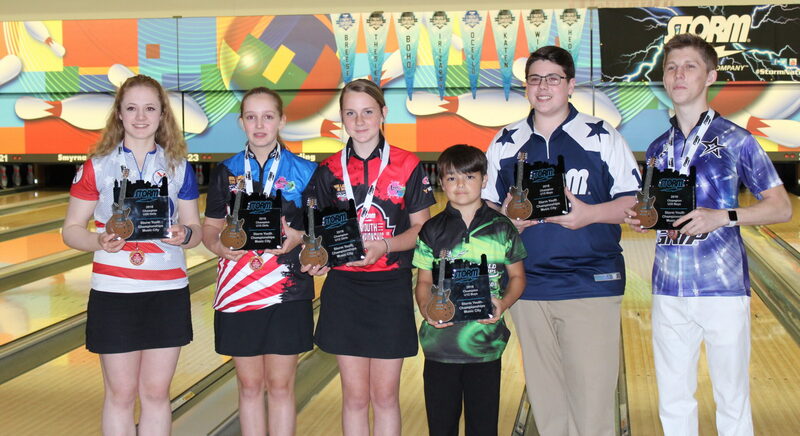 In May, Smyrna Bowling Center hosted the Storm Youth Championships – Music City in Smyrna Tennessee. 156 bowlers and their families traveled to participate in three rounds of qualifying at Smyrna Bowling Center. 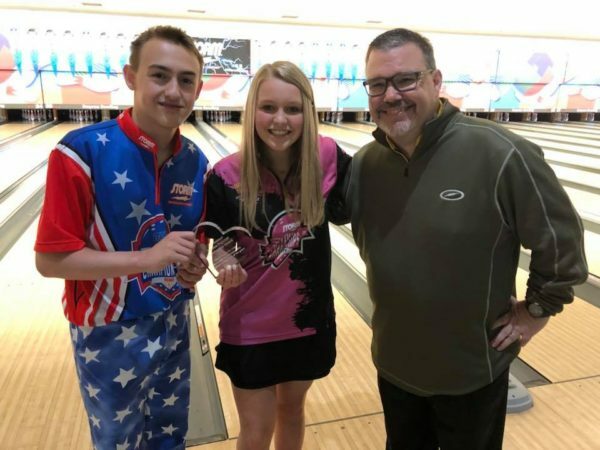 The bowlers competed on three different Kegel patterns in six different divisions determined by gender and age (U20 Boys, U20 Girls, U15 Boys, U15 Girls, U12 Boys, U12 Girls) for a national title and a portion of the $13,850 scholarship fund. All three rounds consisted of six games on a different tournament oil pattern. The top three bowlers in each round were presented a gold, silver, or bronze medal. After the three rounds were complete, the tournament champions in each division were crowned based on their total pinfall. Brent Boho, of Wisconsin edged out the 2ndplace competitor by just 35 pins to claim the U20 Boys division title and his second overall. Mabel Cummins, of Illinois, ran away with the U20 Girls division and took home her second SYC title. In the very competitive U15 divisions, Jillian Martin, of Ohio, and Brandon Bonta, of Kansas, earned their very first SYC titles and new SYC Champions banners. Meanwhile, in the impressively talented U12 Division, Rylan Breese, of North Carolina earned his second SYC title and Karina Capron, of Nebraska, captured her first title. At every SYC event we like to have fun and get to know all of the SYC Families a little better through our activities on Friday! 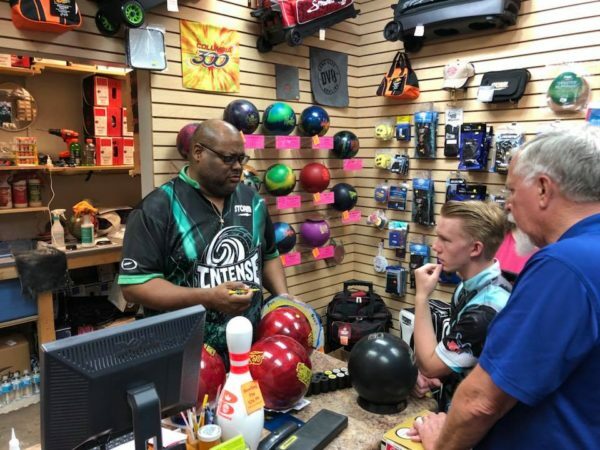 Bowlers were able to attend two educational seminars, meet and practice with members of the Storm Bowling Pro Staff, and discuss lane play strategies with Storm Team members during practice. Every bowler who entered the tournament received a Storm Code Red and had the option to have it drilled by the staff at Bowlers Advantage Pro Shop. On Friday night, all the SYC Families joined for a party at the park that included games of frisbee, corn hole, and whiffle ball featuring pitchers, Rhino Page and AJ Johnson who were a big hit with the kids. Our Ballard vs. the Big “C” partners, Del Ballard Jr. and Carolyn Dorin-Ballard, traveled to Smyrna to meet with families and talk to all of the youth bowlers in attendance. 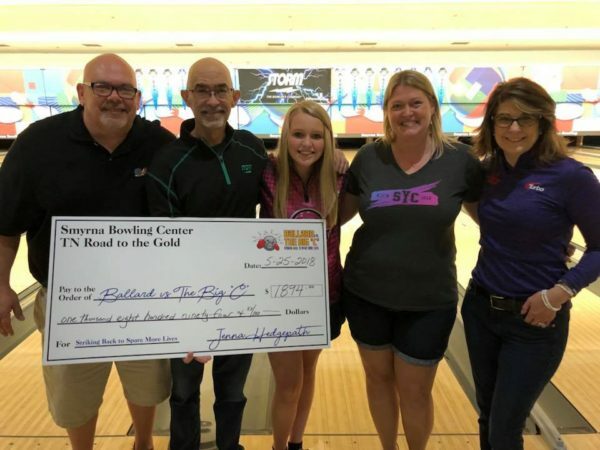 BVBC raises funds for continued research in cancer treatment, specifically in head, neck, and throat cancer through the sport of bowling. BVBC also raises money for nutritional supplements and treatments for those going through the cancer journey. The Smyrna Bowling Community graciously donated amazing items for our silent auction table that helped us raise more funds for an amazing cause! We raised nearly $9,000 throughout the weekend. In addition to the scholarships awarded for competition, the SYC Passion Pays Off Scholarship donated by Jim Callahan, Storm Tour Representative, and his wife Keli, will be presented to a bowler who exemplifies sportsmanship and passion towards the game of bowling at each SYC event. In Smyrna, two participants truly showed their passion for bowling. The scholarship was awarded to Spencer Robarge and Jenna Hedgepath. Both of these youth bowlers traveled home after the Reno SYC event and conducted fundraisers in their local bowling communities for BVBC. Together they raised more than $2,000 in funds which they presented to Del and Carolyn Dorin-Ballard prior to the start of their practice session. This tournament would not be possible without the generous donation from the sponsors, Logo Infusion, Turbo 2-N-1 Grips, Kegel and 3G Shoes. Our youth bowlers were able to take advantage of some special offers from our sponsors at the event! The event was livestreamed over the three days on the Storm Bowling Facebook Page. We still have two stops left on our 2018 Storm Youth Championships Tour. We will head to Shallotte, NC, October 12-14 and visit Fort Worth, Texas, November 30-December 2. For information about our upcoming events visit our website, http://www.stormbowling.com/syc or check the StormJr Facebook Page.